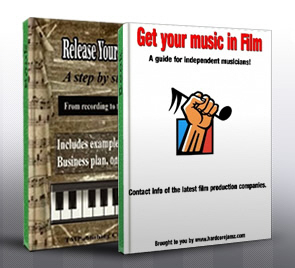 Purchase the best selling guide to releasing your own music independently. This is a step by step guide to release an indie album. Perfect for any independent musician. This is a limited time sale! Get 2 books for 1. "Get Your Music In Film" as well. Get the fastest selling music industry E-Book today. A must read for any indie musician. This is a step by step guide on how to release your own music. Basically how to release an independent CD. Be your own record label and do things correctly. Written by an expert with over 20 years in the music industry. If you want to release an album with success, you should have a plan. A lot goes into an album release. Copyright, marketing, promotion, release party and press releases are some of the things you have to worry about along the way. This short guide gives you a quick run down on some of the steps you should take to make sure you release your album correctly. 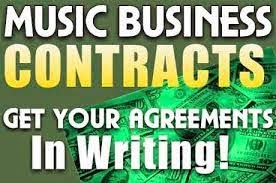 It includes a simple example of a business plan for record labels, an example of how a musicians bio should look, an example of a "one sheet" that distributors will need to consider selling your albums and more. Over 2,800 words are in this quick reference guide. Viewable as a PDF on your computer, iPad and Kindle or Nook device for your pleasure. You can also print it. Now for a very limited time, get both "Release Your Own Music", and "Your Music In Film", which can help you license your music for film. Copyright 2019 Hardcorejamz.com . Simple theme. Powered by Blogger.